We saw them as our stars – our dashing leading men. We threw awards at them, cheering whenever we saw them, not realizing that many carried honors far greater than those earned on the silver screen – for they were actors who fought in WWII, the most fatal conflict in history. Some came back highly decorated for their service. Some of these actors present on D-Day might surprise you; others flew high in the sky or manned the ships at sea. Hollywood’s 20th-century roster is filled with actors who were also veterans. Most were relatively unknown when they stepped forward as a part of that “Greatest Generation” to hold back the forces of evil. Some were already household names, with long careers on stage and screen. Fame made no difference. It was a time when it did not matter where one lived or what one did for a living. There was a job to be done, and they answered the call. Read on for a list of some of Hollywood's most famous stars of last century, all of whom played the "role" of their lives as they helped to defeat the Axis Powers. After storming off the screen and leaving a distraught Scarlett standing alone as he uttered the words that would become arguably the most famous line in movie history, Clark Gable had no idea what the future held. All he knew was Gone With the Wind was a box office smash (and still sits atop the box office record list when adjusted for inflation), he was living the happiest years of his life, and he had more movies to make. A scant three years later, his beloved wife (actress Carol Lombard) passed in a plane crash, and Mr. Gable took off his movie shoes and laced up his military boots. Much to MGM's chagrin, he even flew in combat as an observer-gunner in a B-17 mission over Europe, which eventually led him to produce and narrate a documentary on the experience called Combat America. He earned several medals for his tour, but the most dubious distinction of all wasn't even a medal. The studio heads at MGM weren't the only ones watching him like a hawk. Mr. Gable found himself on Adolf Hitler's list of actors the Fuhrer would pay handsomely for if they were captured and brought to him unscathed. In 1939, as Europe reeled in shock from Germany's invasion of Poland, an actor in Hollywood was waiting for the release of a film that, little did he know, would skyrocket him to stardom. Mr. Smith Goes to Washington paved Jimmy Stewart's star on the Hollywood Walk of Fame. The next year, he won his only Academy Award in five nominations for his role in Philadelphia Story. Everyone expected more success, but they would have to wait five years for it. Thanks to a lapse in his contract with MGM that coincided with Uncle Sam's call to arms, Stewart – after packing on a few extra pounds to be able to enlist – joined the Army Air Corps. For years, he wasted away in training commands like a forgotten star past his prime. In 1943, that all changed when he begged to be assigned to a combat squadron and was placed in a B-24 squadron with orders to Europe. Over the next two years, he flew over 20 combat missions and rose to command several units. When WWII was over, he came back a highly decorated hero, boasting two Distinguished Flying Crosses, the French Croix de Guerre, and multiple Air Medals. He also brought back the scars of war, haunted as he was over the loss of 130 airmen in combat. He decided to give Hollywood another go, but the trauma of his service showed itself in the roles he chose. The most famous example is George Bailey in It's a Wonderful Life, a film in which he channeled the raw emotions he was personally tormented by to bring the character to life. While initially disliked, over time, that movie became the defining role of his career, a character he might not have been able to portray if it hadn't been for the trauma he endured. Rock Hudson: Scrawny, Shy Sailor? Roy Fitzgerald joined the Navy straight out of high school and worked as a mechanic in the Philippines. Even then, he dreamed of being a movie star. His fellow soldiers laughed, as he was a scrawny boy with a very strong shy streak. Little did they know that that shy, skinny boy would later change his name to Rock Hudson and entertain moviegoers for decades, even performing a critically-acclaimed lead role in Giant, for which he received his only Academy Award nomination. In 1956, he starred opposite Doris Day in Pillow Talk, the first in a series of films that rocketed him to heartthrob status with men and women alike well into the '60s. He became so famous that he was offered several roles that made a mark in movie history, including Marlon Brando's role in Sayonara and Charlton Heston's in Ben-Hur. Unfortunately for him, he refused them in order to take on a moving role in what would be the 1957 box-office failure, Farewell to Arms. However, even that couldn't dull the shine of his rock-hard jaw and chiseled chest – a transformation from his earlier days as a skinny soldier in America's Navy. 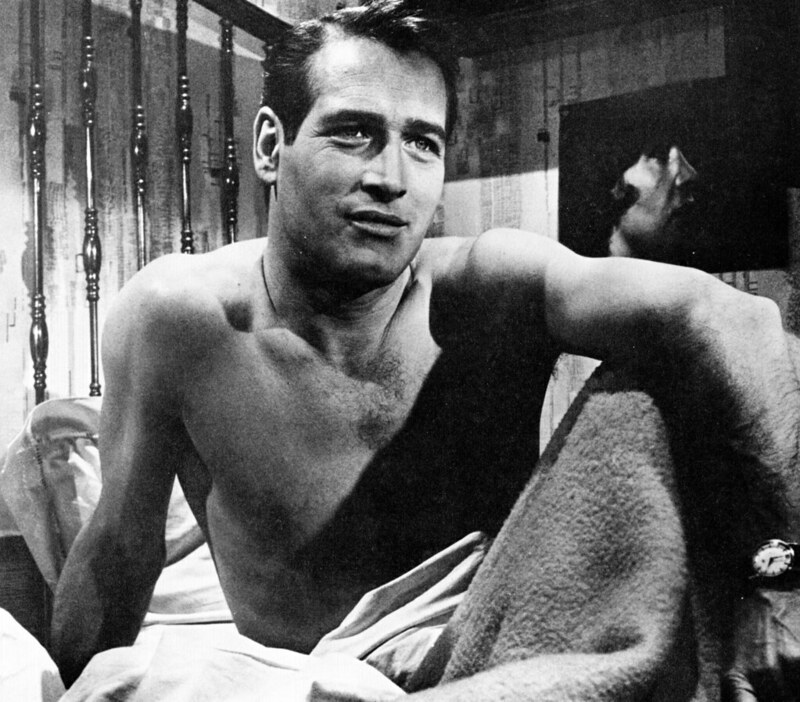 A star for the better part of three decades, Paul Newman's shining Hollywood career almost never happened. In 1944, he served in a variety of roles in the U.S. Navy in the Pacific. Most of his enlistment was uneventful after he was dropped from pilot training when officials discovered his colorblindness. That is, until he and a bunch of replacements received word they were assigned to the U.S.S. Bunker Hill, which was bound for a little island in the west Pacific called Okinawa. As they prepared to leave, his pilot came down with an ear infection, keeping their plane grounded. A young Newman had to watch as the rest of his squadron flew off to the Bunker Hill. A few days later when the vessel arrived at the Battle of Okinawa without Newman, the ship would experience a new kind of terrifying attack: Kamikaze pilots. Two planes crashed into the carrier and wiped out over 400 crew members, including part of his squadron. Newman went on to a long, successful career in Hollywood, the fortuitous beneficiary of a random infection.